Sutton Park - the pageant was performed on the level ground in front of the trees. Early in 1928 a subcommittee was set up by Sutton Coldfield Borough Council to consider how to mark the 400th anniversary of the creation of the town by Royal Charter of Henry VIII in 1528. Their report, presented to the March meeting of the Council, proposed that a pageant be held in Sutton Park in July. The Mayor, Councillor T. W. Lawrence, said that as many townsfolk as possible should take part in the pageant, and Alderman John Willmott undertook to write and produce it. The council voted a thousand pounds towards the cost of the pageant, but not before some members had grumbled that it was a waste of money that could be better spent on establishing a public library for the town. 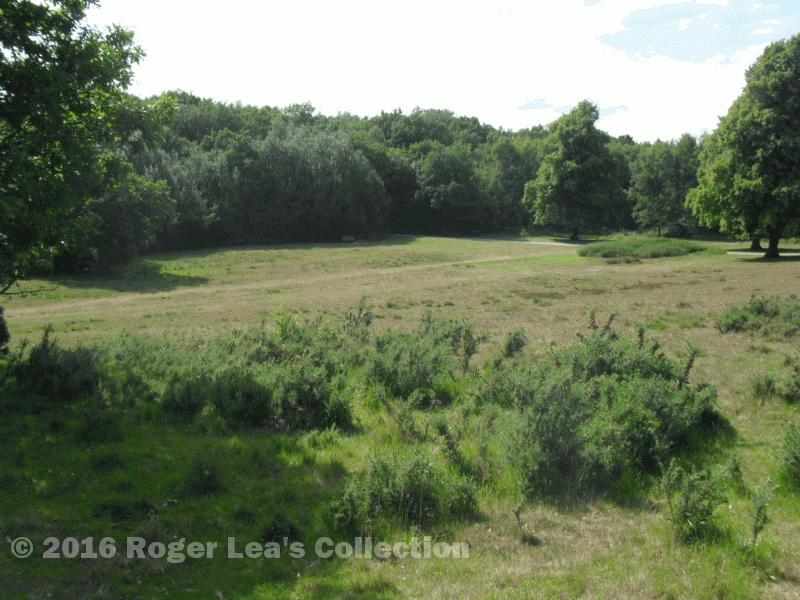 A good site for the pageant was found near the edge of Holly Hurst on level ground overlooked by a natural amphitheatre. The players could come on to the pageant site from behind screens of trees and bushes, and there was room for thousands of spectators on the rising ground, where numerous benches were installed. Tickets were sold at one shilling, two and six, five shillings and seven shillings and sixpence for the four performances, at 6.30 on July 26th 27th and 28th and at 3.00 on Saturday 28th. The pageant consisted of a series of tableaux highlighting key events in the history of Sutton, beginning in Roman times. There were a few key players in each scene and plenty of extras, all suitably costumed. In the final tableau, the proclamation of the Victorian Borough Charter of 1885, a player dressed as the Queen’s representative solemnly read out the document while a crowd gathered - there were 250 people in the crowd, each person individually named in the programme. All went well, the weather was kind, and over £2,000 was taken at the box office - the accounts show that ticket sales more than covered the costs of the event, so the Borough Council’s £1000 was not needed after all. 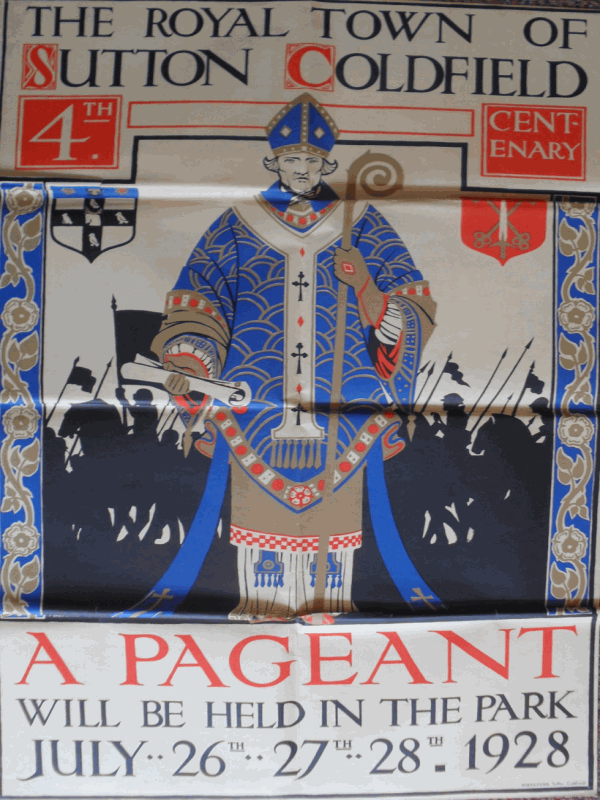 The pageant was watched by over 6,000 people, and 1,200 took part in it, as the Mayor had hoped, and it fulfilled John Willmott’s aim of raising awareness of Sutton’s long and varied history.